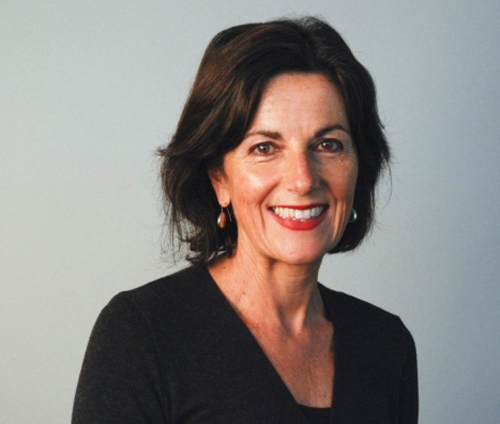 Prof. Helen Lochhead is Dean - Faculty of Built Environment at the University of New South Wales, Sydney. She is an architect, urban and landscape designer with an impressive multidisciplinary resume. Prof. Lochhead has worked on prestigious projects such as the Sydney Olympic Park, precincts around the Sydney Harbour, and a 30-year transformation plan for the Sydney Cove. She studied at both University of Sydney and Columbia University and has been a visiting academic at Harvard, MIT, and Columbia. In 2014-15, Prof. Lochhead was a Lincoln/Loeb Fellow at the Graduate School of Design at Harvard university and the Lincoln Institute of Land Policy. BrainGain Magazine spoke to Prof. Lochhead about the value of multidisciplinary learning, how it is core to education at UNSW Sydney, and what makes a good architect. Edited excerpts from the conversation are below. You’ve studied at Sydney and Columbia. And you’ve been a taught at UNSW, Columbia, MIT, and Harvard. How has this international experience shaped you as a person and as an academic? The benefit of having studied abroad is that it gives you a global perspective. And I think today most professionals have to work in very varied and different contexts. So, having a globally focused education gives you the opportunity and flexibility to work anywhere in the world. And I think that’s what I benefited from. You’ve been a multidisciplinary learner. How does that help you professionally? Being multidisciplinary has made me much more resilient in my professional career because I’ve been able to ride out recessions and also boom periods by adapting what I work on, and where I work. So, I work for governments, I work for private sector clients; sometimes it’s planning and the front-end of projects. And sometimes, in project delivery, such as detailed project design and construction. So, being multidisciplinary has made me able to change and adapt to different circumstances and different opportunities. 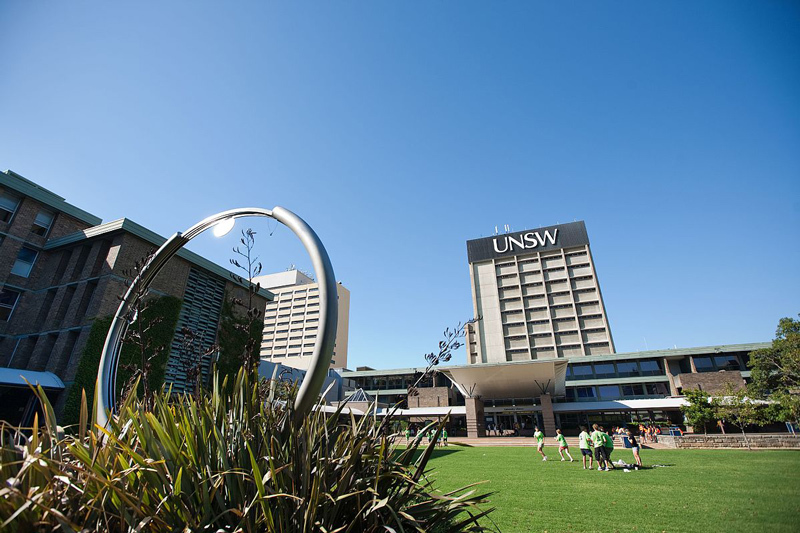 Please tell us about University of New South Wales’ (UNSW) Faculty of Built Environment. What is the inspiration behind the faculty’s interesting name? The Faculty of Built Environment is a multi-disciplinary faculty. That’s what I love about it. It includes not only architecture and building and construction, but it also includes planning, landscape architecture, interior architecture, industrial design as well as urban design, sustainability, urban policy, city analytics – a whole raft of related professional degrees. And that can really help you understand how all the parts work together. It’s not one discipline – siloed. It’s actually the whole suite of disciplines working together in an integrated way. What are the strengths of UNSW’s architecture courses? Well, I think it’s one of the few faculties in the whole of Australia, in fact, globally, that has the whole raft of disciplines - from industrial design which works at a small scale and enabling built environment, right through to strategic planning at the regional scale. We work in conceptual and artistic practice in terms of design right through to technical and engineering. So, from the humanities right through to the sciences, and from the small-scale to the scale of the region. That’s what I love about it. And I think it gives students an opportunity to see the breadth of careers in the built environment. And also, the fact that we represent all the disciplines of built environment so we can work together. In what ways does the university in general, and the faculty in particular, help students connect theory with practice? Yes, because we train or educate professionals, we have a very strong relationship with the professions. And internships and real-world projects are absolutely key to our educational paradigm. So our students work on real projects, and real challenges. Also, mid-career, they will have an internship, such as in a planning program, which is a part of their degree, or they’ll go out and work in practice and see what it’s really like. And they can bring that back into the academy, and it informs their education. Also, it gives them a leg up when they graduate because they have some practical experience under their belt to use. What is the Built Environment Interdisciplinary Learning (BEIL) initiative? BEIL is absolutely core to every single student’s experience in our faculty. So, every student - whether they’re a construction student, a design student, an architecture student, or a planning student, does classes in interdisciplinary learning where they come together and learn. And sometimes they are project focused, sometimes they’re theory focused, sometimes they’re practicants overseas through international studios or working with other universities and communities abroad. But, it’s really about understanding your disciplinary strength and what you can bring to the project as well as understanding the contribution that your colleagues in a team can also bring. [BEIL is also about] learning how to collaborate and how to work together as you do in the real world. And we do that at the university. It really prepares you for being a well-rounded professional when you go out in to the real world. Is a good architect an artist or an engineer? Well, obviously both. I think a good architect is both right brain and left brain. You have to think conceptually and also you have to have technical, logical and thinking skills. You need to be able to be technically proficient. But you also have to think outside the box. And you have to be able to think about things in more innovative ways. A good architect brings the whole together and makes more than the sum of the parts. It’s not just logical and linear but adaptive and creative. I think an artist is very right brain and an engineer is very left brain. Architects bridge those two. They bring together the conceptual and technical. To be a really good architect, you have to be able to be innovative and conceptualize. But then you also have to be able to make something work. It’s not just about having an idea that people like to look at, it has to be functional and realistic and work to a budget. So, I think you have to be very much both! What advice would you give to students who are looking to pursue an international degree in architecture? You need to follow your passion, first and foremost. But, if you do not know exactly what you want to do, I think you should choose a program where there’s flexibility to change pathways to ensure that you can move sideways. If, in fact, you come in and study architecture but you realise that landscape architecture is your calling or industrial design. Or, in fact, you’re more interested in planning. And now at our faculty in UNSW of Built Environment, we have pathways to enable students to move from one programme to another and adjust to their own needs and strengths and aspirations. So, don’t get locked into one programme and feel like you have to follow it through to the end. Make sure you choose a faculty or a school that enables you to adapt and change according to the circumstances without foregoing the investment you’ve made in terms of your time and effort to date.